We received a copy of A Wrinkle in Time to help with creating our Meg’s Warmed Milk recipe. Admittedly, we didn’t get a chance to see A Wrinkle in Time during its theatrical run. However, when we were asked to create a recipe for it we were super excited. After watching the film, we weren’t disappointed! A Wrinkle in Time offers stunning visuals, a great cast, and a message that will speak to you. 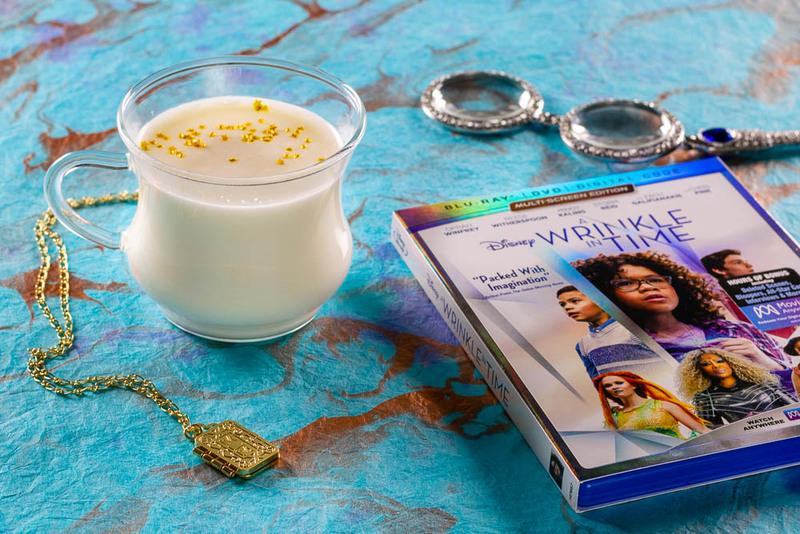 We’re excited to share a brand new recipe inspired by the film, Meg’s Warmed Milk! The idea for this recipe came pretty early in our viewing of A Wrinkle in Time. We’ve created our version of Meg’s Warmed Milk. Interestingly enough, in the movie Charles Wallace prepares Meg warmed milk when she can’t sleep but in the book it is Hot Chocolate. With our version being based off of the movie, we went with milk. That being said, we had to upgrade it a little! Who really wants to drink plain warm milk? We added a few ingredients (see the recipe below) and edible glitter stars! The result is a simple yet comforting drink! A Wrinkle in Time is available today on Digital HD and Blu-ray! Be sure to catch our full review of the Blu-ray at DAPs Magic! Now for a bit of movie magic! 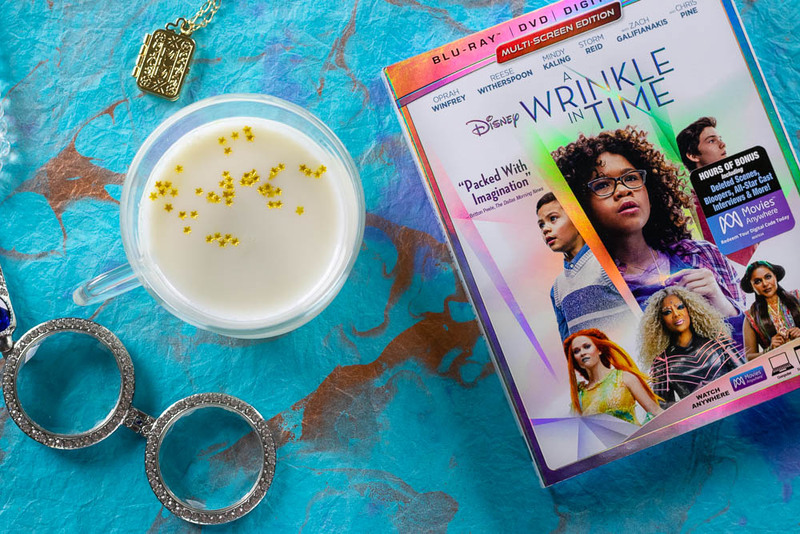 We are giving away 5 digital copies of A Wrinkle in Time over on our Instagram! Be sure to enter there on the Wrinkle in Time post. The winners will be chosen next Tuesday! Good Luck! Add all ingredients to a glass measuring cup. Heat in microwave for about a minute and a half. Top with gold star edible accents. The Geeks were provided with a copy of A Wrinkle in Time for research purposes. All opinions are wholly our own. 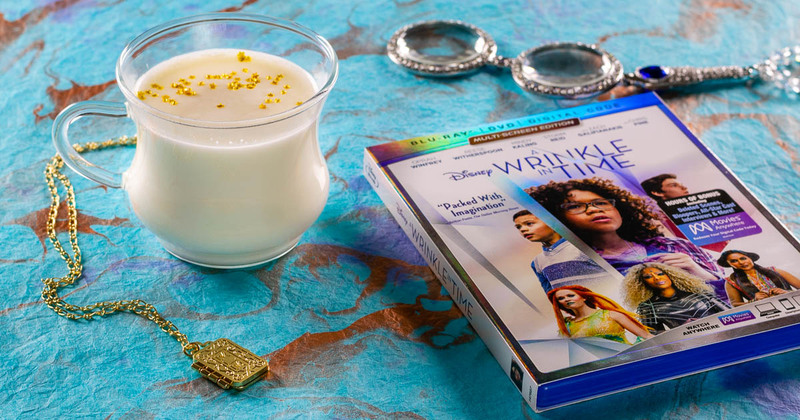 Giveaway digital copies of A Wrinkle in Time provided by Fingerpaint Marketing. View our Disclosure Policy for more info. I love warm milk. I wonder if tunmeric would taste good in it. I can’t wait to see the movie. I listened to the audio book recently, as well as the sequel.